Hello Friends, A call has gone out to return once again to Peru and I am excited to experience this wonderful, strong, magnetic yet very loving country again. Peru is an unforgettable experience of incredible beauty, sights, sounds and colors. The magic is palpable, the Anpus, or spirits are quite evident and permeate everywhere around you within a cacophony of nature! I envision this journey as a small private group. Our shaman is Mallku and I have worked with Mallku since 2005. He is knowledgeable, experienced and very skilled in the art of communication and connection to nature. This particular journey is about building a stronger foundation within your life that can allow you to live a more enriching and nourishing life. As we go forward new steps must be taken, new questions asked with deeper and more insightful answers received and creative visions expressed. Capricorn in its home sign Saturn until December 2020 and demands we make it real. It is about gathering the material, resources and vision to build a life that will be more fulfilling, courageous, prosperous and wise. Classes, experiences and discussions will occur that can assist you in making that happen! 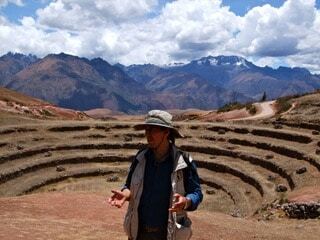 Some of my most memorable and visionary experiences have happened in Peru! I will share them on the journey! * please plan to depart from your gateway city on September 8th in order to arrive in Cusco Peru by early morning. My agent can help you to arrange your travel perfectly. Day 07. June 8 CUSCO – FREE DAY This is a free day at leisure – a perfect time to see more of the beauty of Cusco, visit some of the museums, art galleries or others. Late afternoon we all join in a drum ceremony celebration. (VEGAN DINNER) *This free day is also for the ones who are in the energy for a different ceremony, a traditional Andean plant spirit medicine – the sacred Wachuma journey can happen. All transportation and visits with entrance fees. Accommodation in hotels 3 with daily breakfast. 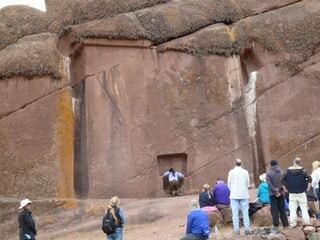 Company of expert guides in Andean culture. 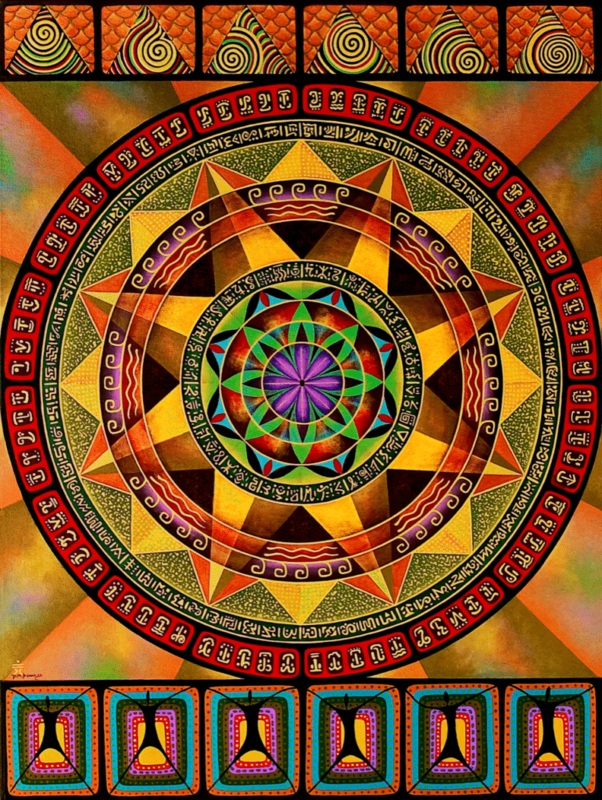 Meditations, ceremonies and shamanic experiences. All services in private for the group formed for this itinerary (people from all over the world). 10 meals between Box Lunch, Lunch, Dinner according to the daily itinerary. Domestic flights from LIMA – CUSCO & JULIACA – LIMA. Meals beside the 10 on schedule and the daily breakfast. -NOTE: We suggest to bring an international medical insurance. *WACHUMA: The price per person for this ceremony, which is optional, is US $100. It is needed a base of 06 participants. Non-refundable initial deposit of 900 to reserve your place. Second Payment of 1420.00 is due by May 1, 2018 and 3rd payment of 1420.00 due by July 1, 2018. Credit cards will be assessed a 3.5% surcharge. Cancellation: Must be received in writing. 45 days or less prior to departure: No refunds. 60 days prior to departure: 50% refund minus deposit. 90 days prior to departure: 70% refund of monies paid minus deposit. *Travel and Health Insurance is MANDATORY—these days you must safeguard your investment and your health. Registration is not complete until proof of insurance is presented. Recommended: SQUAREMOUTH.com. You can call and talk with them or just go to the website, plug in the numbers and it gives you a neat grid to choose from several companies. Make sure you get medical with flight evacuation HOME. Tipping: The suggested amount to reserve is approximately $225. Again, how much you choose to tip is your decision according to your means and heartfelt appreciation. These tips can be given in Peruvian sole’s or USD. Payment: Personal checks, credit cards, PayPal and cash are welcomed. Please make checks payable to Dr. Imsara, 1505 Pass-A-Grille Way, #11, St. Pete Beach, Fl. 33706. Arrangements can be made to pay the balance of the trip cost after the deposit is paid via cash, check or credit card. The balance can be paid with a credit card, however, there is a 4% fee to cover our costs for that service and you must supply proof of sufficient travel insurance. Deposits are non-refundable. Please procure travel insurance upon making a deposit. The full and final payment for the trip is due July 7, 2018. If the final payment is 14 days late without prior arrangements, a late fee of $100 will be assessed. We reserve the right to drop anyone who does not complete the final payment two weeks after the due date without a refund. Cost increases: Tour costs are printed well in advance of our actual travel dates. In exceptional circumstances, the cost of your international trip may be subject to increases The group will be limited in size for 8-12 for a private, intimate and harmonious experience in Peru. An artist and a promoter of Andean Culture – MALLKU collaborated during the 1980s as a co-editor of books on Natural Medicine. In 1997 he presented his book “The Awakening of the Puma, Inka Initiation Path,” in which he revealed his expertise in understanding the Esoteric Knowledge within Andean Archaeo-astronomy. In 1999 he paid tribute to the Sacred City of Machu Pijchu in his book “Eternamente Machu Pijchu, Ciudad de Peregrinos” (Machu Pijchu Forever, City of Pilgrims). His extensive research has earned him well-deserved recognition and acknowledgements, including the publishing of his books in Brazil, Poland and Hungary. MALLKU is an international lecturer and teaches about the Ancient Culture of the Andes, promoting a Shamanic experience as one of the Paths of Liberation for the present generation. In his current book “Inka Power Places, Solar Initiations” he reveals important secrets of the Initiation Knowledge of the Amauta Sages, which were expressed in their Temples, Palaces and Cities as testimony for all time. Dr. Imsara, DOM, MPH, AP (Doctor of Oriental Medicine and Evolutionary Astrologist) Imsara enjoys painting in colorful acrylics, making healing elixirs from around the world and who also hosts groups of travelers who want to expand their experience of the world-at-large. Imsara has studied creatively at Findhorn in Scotland, British Columbia, Egypt, Peru, and China, where she interned as a student of acupuncture. Moreover, she holds a Master’s Degree in Public Health from the University of South Florida. Imsara has taught beginning to advanced Evolutionary Astrological classes, MAP, I Ching, Elixir Making and Energy Medicine classes extensively since 2005. She is currently writing a book based on her work of the past 18 years. is work has to do with using MAP along with vessels of transformation known as “Pyramids.” The purpose of the work is to help liberate a person as they walk their own unique evolutionary path. Imsara has periodically travel to Peru since 2004. Stay tuned for announcements of other journeys ahead to Egypt and Mt Shasta with Crater Lake.